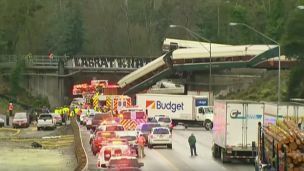 Hey Buddy!, I found this information for you: "Amtrak Train Derails In Washington State, ‘Multiple Fatalities’ Reported". Here is the website link: https://www.thealternativedaily.com/amtrak-train-derails-washington-state-multiple-fatalities/. Thank you.